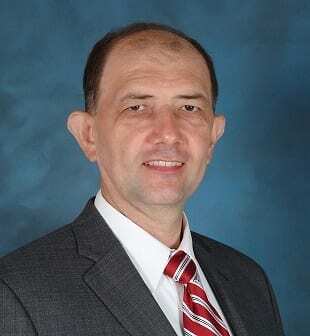 CoreSite Realty Corporation’s (NYSE: COR) upcoming quarterly dividend payout will hike the quarterly distribution 5.1% and be the company’s seventh consecutive annual dividend increase. Over the last five years, the share price growth has nicely complemented the increasing dividend payments, despite a small stumble over the past 12 months. However, the annual dividend boosts managed to outpace the share price growth and, as a result, increased the company’s dividend yield to the current 3.8% level, which outperforms the average yields of CoreSite’s industry peers. CoreSite will distribute its next dividend on the July 16, 2018 pay date. All shareholders of record prior to the June 28, 2018 ex-dividend date will be eligible. Based in Denver, Colorado and founded in 2001 as CRG West — a portfolio company of The Carlyle Group — CoreSite Realty Corporation delivers secure data center and interconnection solutions to private and corporate customers across eight key North American markets. In 2009, CRG West rebranded itself as CoreSite and became publicly traded on the New York Stock Exchange the next year. As of March 2018, the company operated 20 data centers with a combined space of more than 3.5 million square feet. CoreSite has located its data centers in eight major communications markets across the United States — Silicon Valley, Los Angeles, Denver, Chicago, Boston, Miami, the New York City metropolitan area and the Northern Virginia/District of Columbia area. These facilities currently serve more than 1,200 enterprises, network operators, cloud providers and supporting service providers. 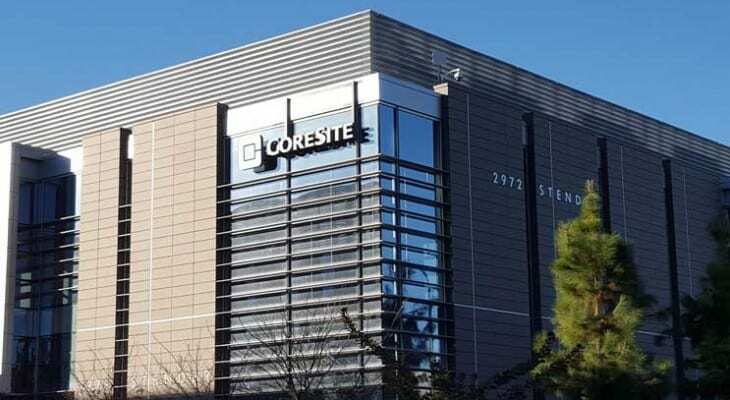 CoreSite’s quarterly dividend distribution in mid-April was $0.98 per share, but the upcoming quarterly payout will be 5.1% higher at $1.03 per share. The annualized dividend amount is $4.12 and equates to a forward yield of 3.8%. Because CoreSite managed to continuously boost its quarterly dividend payouts and stay ahead of any share price growth, the current 3.8% dividend yield is therefore 23.2% higher than the company’s own 3.1% average yield over the past five years. In addition to outperforming its own five-year average yield, the company’s current yield also outperformed the 3.08% average yield of the entire Financials sector and was just marginally below the 3.9% average yield of all the companies in the Real Estate Development industry segment. Since initiating its quarterly dividend distributions in 2011, CoreSite has advanced its total annual payout amount nearly eight-fold by maintaining an average, and impressive, growth rate of 34.4% per year. While most dividend growth rates tend to deteriorate over time, CoreSite’s 34.9% three-year average growth rate is higher than the average growth rate over the past seven years. On another note, the company’s share price experienced only two noticeable pullbacks since the initial public offering (IPO) in 2010. Unfortunately for CoreSite’s shareholders, one of those pullbacks occurred in December 2017 and January 2018. COR’s share price entered the trailing 12-month period on a seven-month-long uptrend and continued to rise, reaching a 52-week high of $119.54 on September 11, 2017. However, the share price dropped nearly 23% before it reached its 52-week low of $91.31 on February 21, 2018. After bottoming out in February, COR shares reversed direction again and gained more than 18% to close on June 18, 2018 at $108.82, which was less than 10% below the September 2017 peak. The share price was 2.6% higher for the trailing 12 months but about 260% higher than it was five years earlier. Because the current share price barely exceeded its level from 12 months ago, it contributed only a third of the total return over the past 12 months. However, if the share price continues its current uptrend, COR shareholders should shortly enjoy significantly higher total returns in the vein of the 150% total return over the past three years or the 280% total return over the past five years.